Over the last 40 years we have got to know the Ionian islands and the Ionian islanders well. 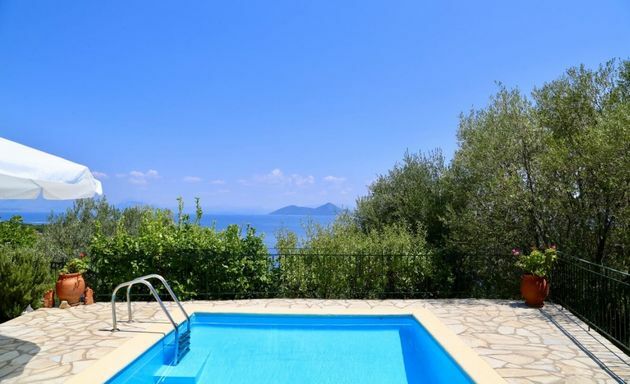 A varied choice of villas, apartments, houses and cottages with private pool on the islands of Paxos, AntiPaxos, Corfu, Ithaca, Kefalonia (Cephalonia), Lefkas, Meganissi and Zakynthos (Zante). A more flexible and often cheaper alternative to a package holiday. Someone who knows each island and property intimately. Links to find the most appropriate flights, island transfers and car hire. The security of an Ionian Villas manager on each island for help with anything at anytime. Flexible holiday dates and durations. The properties on our website have not only been chosen for their location, aspects of privacy and standard of comfort but also for each owner's reliability - what you see is what you get. We look forward to helping you choose an Ionian island escape from the crowds. Large enough to cater for most tastes, Corfu has sleepy villages hidden by olive groves; pretty seaside villages with laid-back attitudes; fine dining and elegant Venetian architecture in town; many beaches of sand and pebble; good water sports. 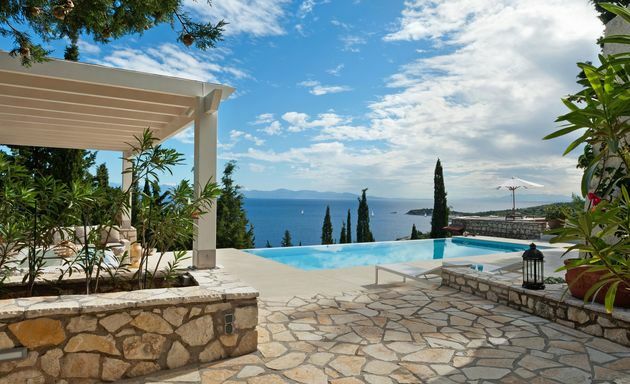 Villa Cara is a rather special hideaway close to the sea on Kefalonia's south coast of sandy beaches. Chimara is surrounded by a natural landscape of olive and pine. Total privacy and only the sound of birdsong and cicada chatter. Hilltop House is just a 10 minute walk from Kioni waterfront on Ithaca's east coast.